This review provides of basic information on non-stationary operation regimes of the gas bearings. The causes and mechanisms of maintaining the oscillation of the rotor’s gas suspensions are discussed. 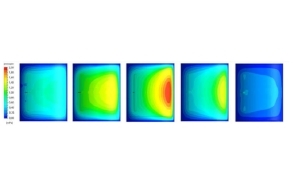 A brief review of linear, nonlinear and resonant vibrational effect is given. The questions on the oscillations in the layer of gas and liquid lubrication in the bearings are elaborated. 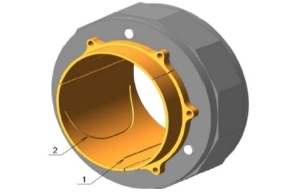 A classification of non-stationary processes in gas bearings is given. Brief information on issues such as "frequency capture", "Sommerfeld effect", "a half-speed and fraction-speed vortex", "pneumatic hammer", "consumption oscillations in nozzles". The main tasks for the gas-static bearing’s control system are formulated. 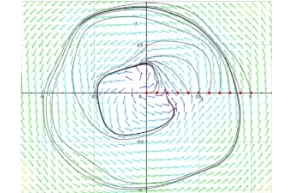 The results of calculations of the reaction in gas-static rotor bearings on a single external influence. 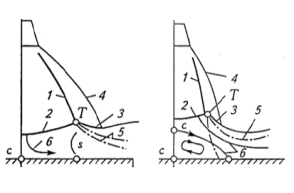 It is shown that when the external load, the impact of external forces and the gas pressure in the lubricating gap rotor motion seeks to limit discrete trajectories. Thus, the radius is changed stepwise precession and not continuously. Increasing supply pressure in the lubricating gap fluctuations can be suppressed by decreasing the diameter of the precession.